Harmony Animal Hospital veterinary emergency service is dedicated to providing localized access to 24 hour acute care for your beloved pet every day throughout the year, including all federal holidays. 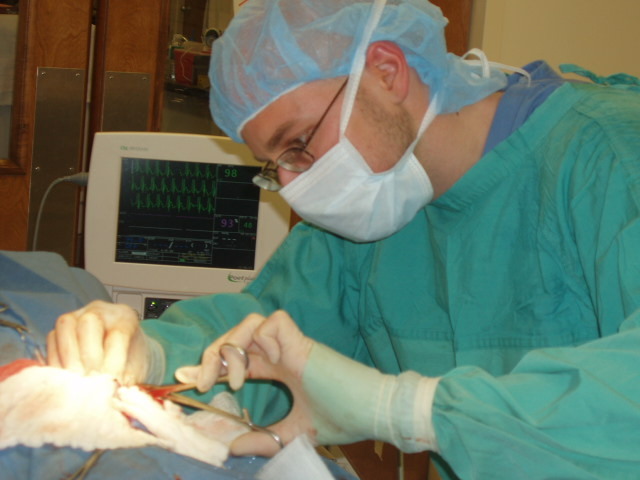 Our professional staff of highly trained veterinarians and technicians are trained and equipped to treat all emergent cases. 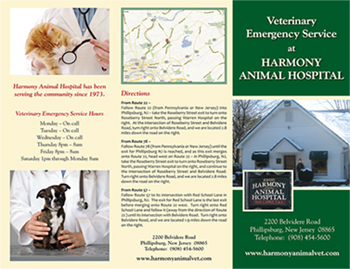 Harmony Animal Hospital after-hours emergency service is available for all patients, though we respectfully ask that patients from other veterinary hospitals return to their referring veterinarian for follow-up care. Download our brochure on Veterinary Emergency Service.